Looking for a Drug Rehab or Alcohol Treatment Facility in Vermont? Searching for a drug rehab in Vermont entails research and sometimes a few difficult decisions. When considering the many different types of programs available, one of the first decisions will be whether to enroll in an inpatient or outpatient drug rehab in Vermont. Inpatient programs offer structure, a substance-free environment and around-the-clock care. Outpatient programs are less intensive and allow the recovering person to continue to live at home and maintain most aspects of their day to day life. Once the decision on whether to attend an inpatient or outpatient drug rehab in Vermont has been made, there are simply a few more factors to take into consideration before selecting a specific treatment center. These factors include the location and cost of the program, the rehabilitation philosophy used by the treatment facility, and what follow up care is provided. These questions and any others can be answered by contacting the drug rehab in Vermont and speaking with an intake counselor. Enrolling in a drug rehab in Vermont is the best way to break the cycle of addiction. When an addict receives the addiction treatment they need to overcome their substance abuse they will be able to take back control over their lives. During 2014, Vermont drug rehab programs enrolled 10,976 individuals for addiction treatment. The leading substances of abuse sending residents into treatment that year included heroin (28.6% of all 2014 Vermont drug rehab enrollments), other opiates (23.2%), alcohol (19.2%), alcohol with a secondary drug addiction (13.6%) and marijuana (10.7%). The majority of Vermont's drug rehab enrollments during 2014 were male (59.6%). During this same year, the largest age group to seek drug rehab in Vermont was between 26-30 years old. Opiate addiction is the leading drug threat throughout Vermont. Very recently, the state Governor Peter Shumlin has taken further steps to help those who are already addicted to opiates get into treatment and work to prevent further addiction problems from beginning. Governor Shumlin enacted a number of administrative rule changes to limit the high number of opioid prescriptions being written in Vermont. The changes now require prescribers to register with the Vermont Prescription Monitoring System and review the system before writing opioid prescriptions. Additionally, physicians are required to take into consideration the use of non-opioid medications and create a risk assessment prior to prescribing opioids for chronic pain. Lastly, the changes include an amendment to the rules for governing medication-assisted therapy for opioid addiction specifically for office-based opioid treatment providers prescribing Buprenorphine. Alcohol abuse and addiction remain an issue for residents living in Vermont. During 2014, over 30% of drug rehab enrollments cited alcohol or alcohol with an additional substance as their reason for receiving treatment. The need for alcohol treatment in Vermont continues as residents struggle to overcome their alcohol addiction problems. With proper alcohol treatment, alcohol abuse and addiction can be overcome. Alcohol treatment in Vermont provides alcoholics with professional help to address their problem drinking and alcoholism. Completing treatment will improve the resident's chances of living a clean and sober life and becoming a productive member of their family and community once again. In the 2014 Vermont Behavioral Health Barometer conducted by the Substance Abuse and Mental Health Services Administration (SAMHSA), an estimated 40,000 individuals living in Vermont over the age of 12 were addicted to or abused alcohol in the month before being surveyed between 2009 and 2013. Likewise, the same survey revealed an estimated 31,000 adults over the age of 21 living in Vermont reported heavy alcohol use within the month prior to being surveyed. Inpatient vs outpatient treatment in Vermont provides clients with two different rehabilitation environments. Choosing an inpatient program means moving into the rehab, living alongside other recovering individuals and following a set routine created by the treatment program. Opting for an outpatient treatment program allows for more freedom to maintain day to day life obligations, but requires the person to maintain their sobriety when not physically at the rehab center. This can be difficult for many reasons, especially if the individual's home environment is not a substance-free zone. Determining which type of program will be the best fit can be a difficult decision. However, whenever possible it is suggested to choose an inpatient program. 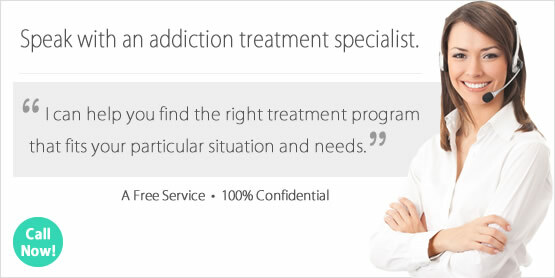 These types of treatment centers offer the most thorough and comprehensive services. Likewise, they statistically have the highest rates of long term success. Outpatient rehab is considered a better fit for individuals who have a limited history of addiction, those who have recently "fallen off the wagon", recovering persons leaving a more intensive type of rehab program (e.g. inpatient treatment), as well as those who must maintain their daily obligations while in enrolled in addiction treatment. Recent numbers from the National Survey of Substance Abuse Treatment Services (N-SSATS) indicate that on March 29, 2013, there were 44 substance abuse treatment facilities located in Vermont. Of these 44 substance abuse treatment facilities: 36 were outpatient, 9 were residential/inpatient, and 4 were hospital inpatient. Additional information gathered from the report shows there were 5,230 persons receiving substance abuse treatment on March 29, 2013. 4,059 individuals were enrolled in outpatient treatment, 1,013 persons were receiving residential treatment and 93 individuals were enrolled in hospital inpatient care at the time of the N-SSATS 2013 survey. The Treatment Episode Data Set (TEDS) report from 2011 on discharges from substance abuse treatment services indicates the type of program with the highest rate of completion is short-term residential treatment. In this survey, 54% of the nations' short-term residential treatment programs surveyed indicated their clients had completed their program before being discharged. The second highest rate of completion among the various types of addiction treatment programs during 2011 was hospital residential treatment (53%) followed long-term residential treatment (45%). Outpatient treatment completion statistics indicate this type of rehabilitation method has the least number of program completions. In the 2011 TEDS survey, only 37% of outpatient treatment program participates completed treatment before leaving the program. Given these numbers and current information from the National Institute on Drug Abuse, statistically the most successful type of treatment program is an inpatient drug rehab in Vermont. The program participant will have the greatest chance of completing the program and developing the life skills necessary to maintain their sobriety after leaving rehab. What Does Inpatient Rehab in Vermont Involve? Inpatient treatment programs are more intensive than other types of rehabilitation methods. This is because the recovering individual leaves behind their home to move into the treatment facility. During their time in the program they will go through several rehabilitation phases and overcome a number of difficult obstacles in achieving sobriety. Many inpatient programs provide detoxification services to their clients. This process works to remove the remaining drugs or alcohol left in their system and prepares them their time in treatment. Following detox, the program participant can expect to participate in group sessions, counseling and therapy during their time enrolled in inpatient treatment. Figures from the 2013 N-SSATS report on March 29, 2013 show there were 9 residential inpatient programs and 4 hospital inpatient programs operating in Vermont on that day. What Does Outpatient Rehab in Vermont Involve? Outpatient treatment in Vermont is intended to help the program participant gain a better understanding of their addiction problem while learning what is needed to achieve and maintain their sobriety. Most outpatient treatment centers include group meetings that come together several times each week. During group, the program participant can expect to discuss topics such as addiction, recovery, and relapse. Statistics from the 2013 N-SSATS survey conducted on March 29, 2013 shows there were 36 outpatient substance abuse treatment programs operating at that time in Vermont. Many of these programs provide more than one type of outpatient treatment. The breakdown of Vermont outpatient treatment programs is as follows: there are 35 "regular" outpatient treatment programs in Vermont, 16 programs offer intensive outpatient services, 2 provide day treatment or partial hospitalization care, 4 have detoxification services and 11 offer methadone/buprenorphine maintenance or Vivitrol. The care and treatment one receives while enrolled in an outpatient treatment program in Vermont is a critical part in achieving lasting sobriety.